I have been thinking about making myself a dancing baby Groot for a while, but I want him to be functional and haven’t quite worked out how yet, though someone is working on looking into Arduino options for me. However, today I ran into this free crochet pattern and thought I’d share with all of you! Isn’t he adorable? You can find the pattern right here on Twinkiechan’s blog! Enjoy and show off your finished Grooties! 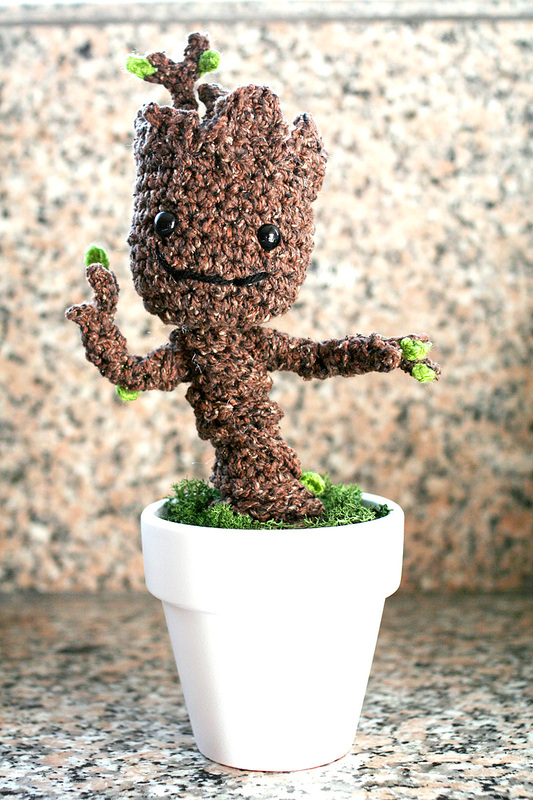 This entry was posted in Blog, Crochet and tagged baby, crochet, free, groot, pattern. Bookmark the permalink.